How to make a successful PE in China? What is valuation adjustment mechanism (VAM)? Is a VAM clause legal in China? Capital markets in China include stock, bond, futures and other derivatives, as well as the private equity market. China’s Capital Markets is the first book to systematically study China’s capital markets, examining its evolution, policies, reforms, current situation and challenges. 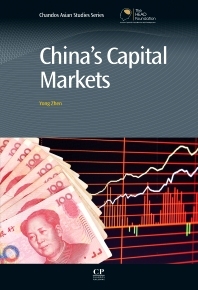 Following an introduction to China’s capital markets and economic growth, the book moves on to cover further capital markets in China, including: the banking system, mergers and acquisitions, and valuation adjustment mechanisms, before concluding with a discussion of the opening up and internationalization of China’s capital markets.